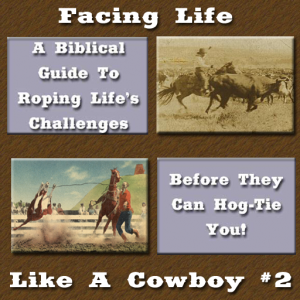 Facing Life like a Cowboy #2 – A Biblical Guide To Roping Life’s Challenges Before They Can Hog-Tie You! Re-Recorded messages based on messages that originally were part of the Cowboy Gospel Hour Radio Show which ran between 2005 and 2010, with Cowboy Preacher Hank Wilson. Messages are intended to help individuals deal with those issues we encounter on a day to day basis.